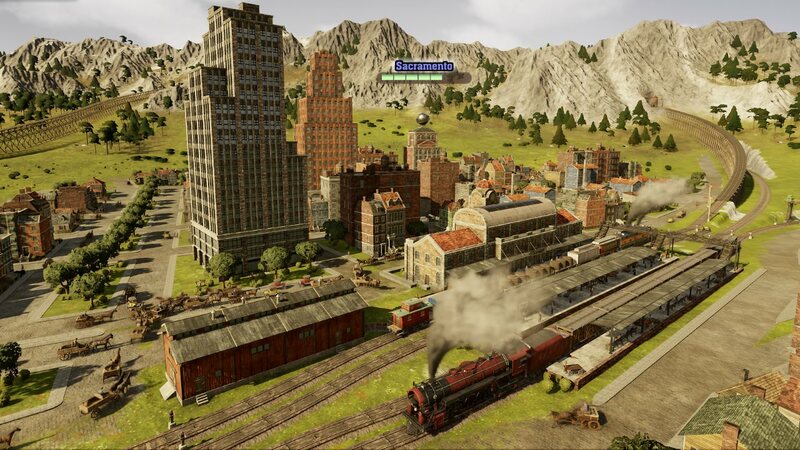 Railway Empire is the next game to make the leap from PC to consoles. In this historical sim, you’ll build a railroad network that connects numerous cities together for the purpose of commerce, trade, and of course, profit. 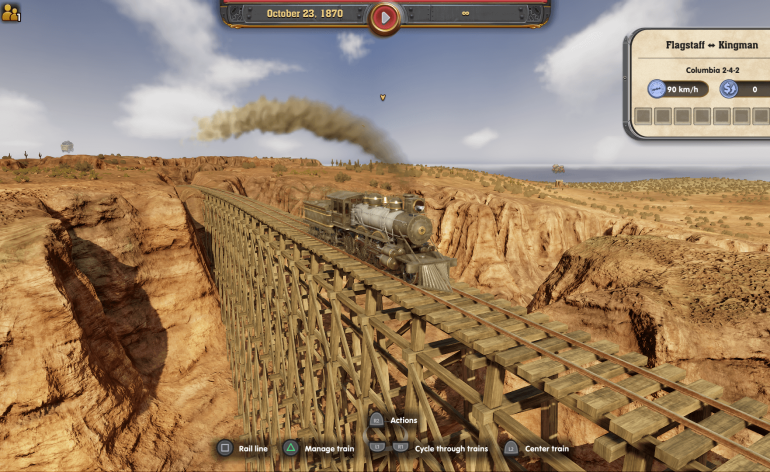 Does this game offer a compelling way to experience the historical rise of the railroad, or does this train go off the rails? Railway empire has an impressive amount of content for players to experience. The main campaign spans across five chapters that can easily take 10+ hours to complete. Once you’ve finished the campaign, there are a number of scenarios to try you hand at, along with a free mode that lets you customize your experience. The campaign takes place between 1830-1910 in historical America. You play as one of the many competitors vying for control of the largest railroad network in all of North America. The campaign missions are narrated by famous historical figures who guide you through the game’s mechanics and objectives. The campaign peppers each mission with historical information that adds to the educational value of the experience. Not only will you learn a lot more about railroads than you knew possible, but you’ll learn more about how they came into their own during this historical period. The combination of narrated characters and cutscenes lends a nice atmosphere and feel to Railway Empire. While many of these simulation games tend to remove any sense of story in the pursuit of streamlined gameplay, Railway Empire gives you the choice between a structured campaign, scenarios, and a free play mode for all player types. There are also plenty of people out there who enjoy a little history with their games. If you can learn and have fun at the same time, why not do so? Railway Empire gives you this option, while still honing in on complex sim gameplay. Railway Empire’s span of three widely different modes ensures that you won’t run out content anytime soon. The campaign acts as a combination of structured progression and an extended tutorial, so I recommend playing that first. I will say that, as a newcomer to this genre of sim, I was pretty overwhelmed at first. Railway Empire does a decent job of explaining the basics, but I still found myself confused early on in the campaign. Specifically, I had a lot of trouble making parallel tracks and setting up signals for trains to pass without colliding into each other. This was a combination of the tutorial being a little too vague, and the controls being a little too finicky on console. Veteran players in this genre may not have any issue, but beginners should be prepared to take some time with the learning curve. Now, even though I said the controls could be finicky, I must stress that on the whole they do work very well. The game’s wide range of menus and interfaces are distilled into radial selections for the console, which helps you navigate quickly despite not having a mouse and keyboard setup. It’s not as smooth or accurate as it would be on the PC, but the effort put into making it all work is admirable nonetheless. Beyond building tracks and setting up routes, Railway Empire also offers a number of other mechanics that allow you to develop your towns and your business as a whole. Part of this comes from setting up routes that result in profitable trades. You can see which towns are in need of specific supplies and create routes accordingly. If you are hauling cattle to a big city, for example, you can also build a slaughterhouse there to produce meat and leather. In this way, you can expand your profit margins beyond simple trade. The ability to research and develop new skills also keeps your options growing as you expand throughout the campaign. The inclusion of competitors will also keep you on your toes. The A.I is surprisingly adept as sabotaging your trains, undercutting your business, and otherwise making your life more difficult. The game offers multiple difficulties to tailor the experience, but expect a challenge on the higher options. Maintaining your trains, expanding your network, and growing your towns all combines to create a management sim that demands your attention. Railway Empire is not for the novice player on higher difficulties, but the wide range of options for difficulty allows anyone to jump in and try their hand at this business. Multiplayer of some sort would have been nice if only to put players together in a race to become the most profitable, but there’s still plenty of content without this feature. Railway Empire is easily one of the better-looking management sims I’ve played on the PS4. The game allows you to zoom in pretty close to the environment and even ride along on the trains as they pass through the landscape. The amount of detail on the trains themselves is very impressive, given the number of them to choose from. Environments have a fair amount of detail as well. The game runs smoothly, even with multiple trains running across the map. There’s a lot of care put into the presentation to make it feel as authentic as possible. A period-appropriate soundtrack rounds out the package. It may have a few rough edges making the transition to console, and the lack of multiplayer does limit the longevity somewhat, but overall Railway Empire is an excellent fix for the conductor in you.